Pairing my latest fermenting obsession, kefir, with some strawberry infused overnight oats! Breakfast win! I’m officially the fermenter lady! That sounds so gross, but it totally cracks me up. I’m obsessed with quite a few things – avocados, kombucha, strawberries, oats and now fermenting. Whenever I’m really into something, J takes to calling me the “insert obsession here” lady. So, I’m often the avocado lady, kombucha lady, and now I’ve reached the status of fermenter lady! In addition to making kombucha, a fermented & bubbly probiotic tea, I’ve started to try my hand at sourdough bread (natural yeast fermentation), and kefir. 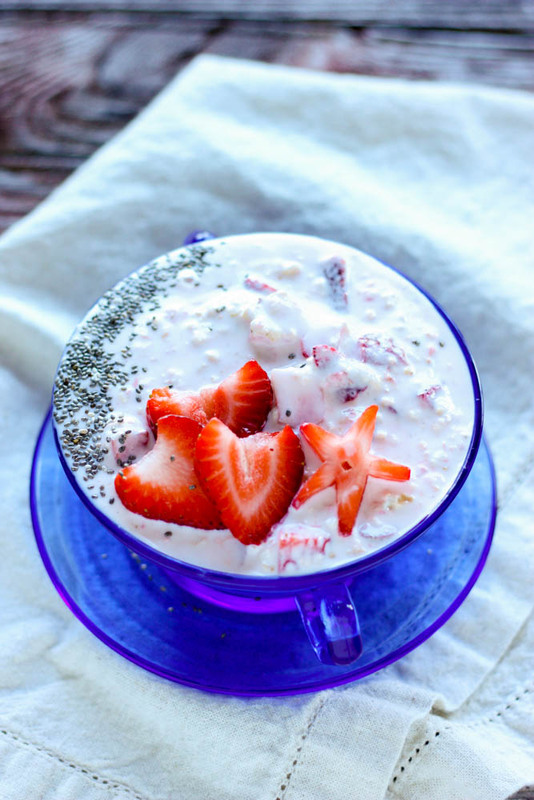 These Strawberry Kefir Overnight Oats are totally a new fave. For those of you that haven’t heard of kefir, it’s a milk drink fermented with milk kefir grains, which are yeast and bacteria grains. 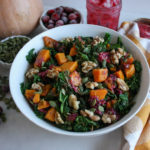 Sounds gross, yes, but it’s rich in probiotics and can be quite delicious when prepared certain ways. I can be sensitive (I’m sensitive to HIGH quantities and not intolerant or allergic, please note) to dairy, but the fermentation process is said to break down some of the milk proteins, which can make kefir a bit easier to digest (source). I have found kefir to be soothing on the tummy and very filling. Kefir can be found in almost any grocery store, but when you start making your own, you’re left with a new batch every day. I’m constantly coming up with new ways to use it and my favorite so far has been in overnight oats. 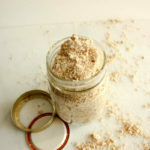 Kefir can also be used to break down grains and legumes to make them more easily digestible, making this an interesting option for those with GI issues (source). 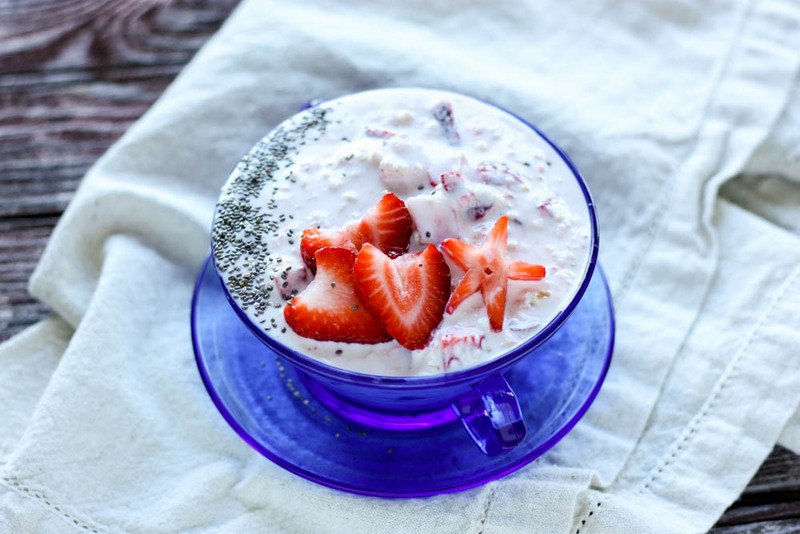 Using kefir in overnight oats creates the creamiest texture; it’s not too watery and not too thick. Can you tell I’m obsessed?! Add all ingredients into a jar or glass container with a lid. Mix well and place in the fridge for 6 hours or overnight. 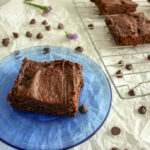 Remove from the fridge and serve! 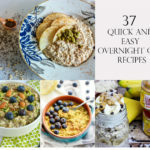 This can be prepped ahead of time and the overnight oats taste great after sitting in the fridge for up to a week! Love this! 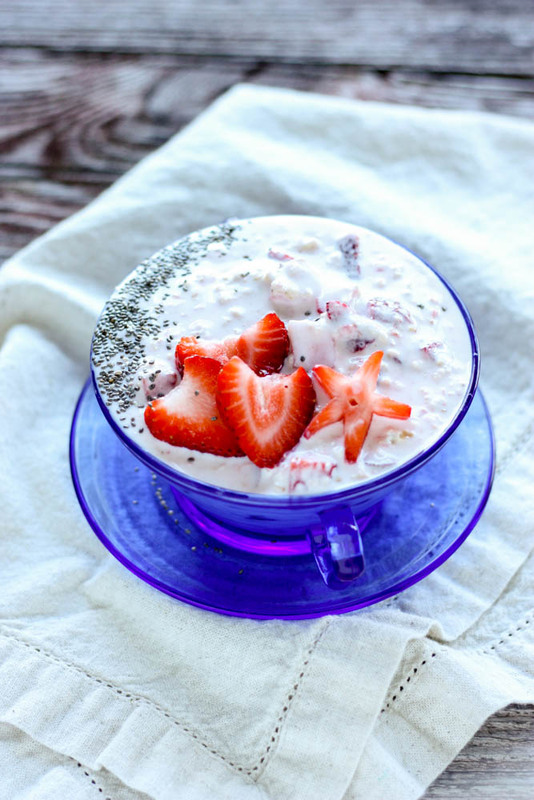 I’m a fan of yogurt in overnight oats, but kefir is a game changer! Britney @ Savour & Shine recently posted…Strawberry Balsamic Crostini for the Vancity Virtual Potluck!